Plainfield Fire Protection District – Duty. Honor. Integrity. Trust. 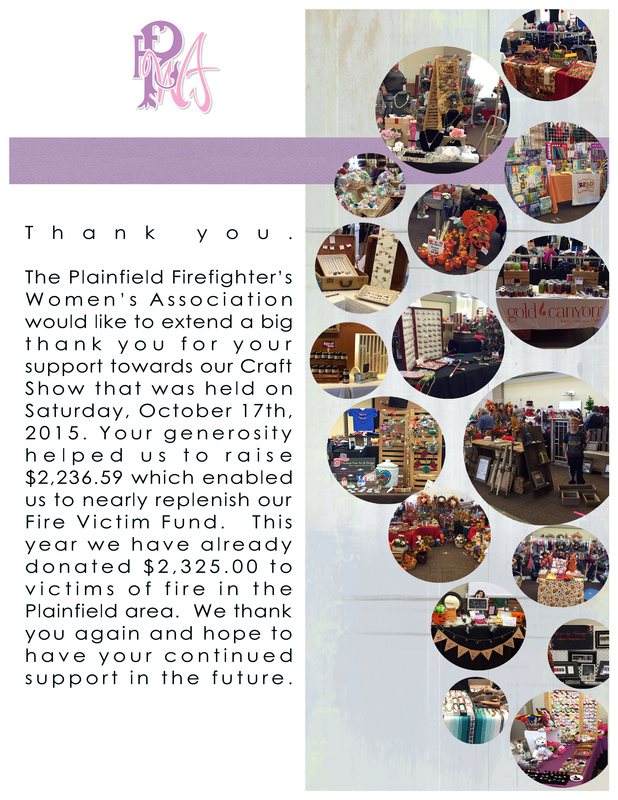 The men and women of the Plainfield Fire Protection District are here to provide high-quality emergency services to you as well as those who are traveling through or visiting our community. As Chief, I can assure you that our men and women are trained and ready to handle any emergency you may be experiencing. Not only does the Fire District respond to fire and medical emergencies, but we are prepared to respond to incidents involving: water rescues, hazardous materials, technical rescues, fire investigations, and others. Emergency response is only one portion of what we can provide to you. Our proactive approach in keeping you safe is evident in our Community Risk Reduction programs we offer which includes: car seat installations, CPR courses, smoke alarm installations, fire safety presentations, building inspections, along with several other lifesaving programs. Our hope is through education we can reduce or eliminate the potential for an emergency from occurring. Lastly, I would like to reinforce the importance of installing smoke and carbon monoxide alarms in your home. According to the U.S. Fire Administration, 38% of home fire deaths result from fires in which no smoke alarms are present. Statistics show that the risk of dying from a home fire is cut in half in homes with working smoke alarms. Carbon monoxide alarms are just as vital as a smoke alarm. Carbon monoxide is a colorless, odorless gas that contributes to 400 deaths and over 21,000 emergency room visits annually. Please do the following to keep you and your family safe: Check your smoke and carbon monoxide alarms monthly; Change the batteries twice per year; Dial 9-1-1 for an emergency; Make sure your address is visible from the street. If you require any further assistance or have any questions on the services we provide, don’t hesitate to contact us at 815.436.5335. The Plainfield Fire Protection District is staffed with over 115 men and women who serve you with skill, experience, pride and integrity. Our four fire stations are staffed with a combination of full-time, part-time and contract Firefighter/Paramedic’s. The Plainfield Fire Protection District has four fire stations staffed 24 hours a day, 365 days a year, spread out across 55 square miles with approximately 45,000 residents. The Plainfield Fire Protection District is governed by an elected Board of 5 Trustees, an appointed Commission Board of 3 and a Pension Board and Foreign Fire Tax Board whose officers are elected by the membership. The Plainfield Fire Protection District is dedicated to preserving the quality of life by saving lives and protecting property through efficient emergency response and prevention. It is the policy of the Board of Trustees of the Plainfield Fire Protection District to permit access to and copying of public records in accordance with the Illinois Freedom of Information Act, balanced, however, by the limited exceptions recognized in the Act to safeguard individual privacy and the hereby appointed District’s Freedom of Information Officer, shall ensure that the District complies with the Act through execution of the District’s regulations adopted pursuant to this policy. A copy of this policy shall be posted on the District’s website. We continue to strive to serve and protect our community. If you have had an experience with us, please take a moment to tell us about it. The FEMA app is your one-stop-shop with tools and tips to keep you safe before, during, and after disasters. Stay updated with weather-related alerts from the U.S. National Weather Service.